I must admit, I really am not a big drinker. But, I am always fascinated by the new flavors of vodka that seem to be coming out all the time. 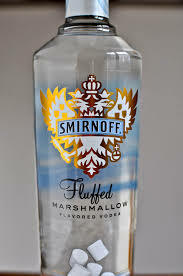 So, I was curious about Smirnoff’s Marshmallow Vodka, what could I do with this? Emily, a friend of mine and a drink connoisseur always has fabulous and healthy cocktail ideas. I borrowed a few of her ideas and came out with a fresh strawberry cake martini! You must try it out. You can add a fresh strawberry on the side to top it off or a Pink Bunny Peep for Easter to top it off!